Welcome to the world of WT-Metall.info! We are glad to welcome you at WT-Metall.info! Host of this website is RSM Dreyeckland, official dealer for Alsace, the german land Baden and Switzerland. Of course, everybody in the world who wants a WT-Metall trailer will be serviced in his language, no matter if it is French, german, english, spanish, netherlands, swedish, danish or portuguese. We don't want no language barrier, what we want is satisfied customers and happy dogs! Take a look around, view the trailers and if any question occurs, use the contact form to get in touch with us. 14:00 h - 19:00h CET (Paris). RSM remorques sur mesure means : Custom made Trailers. And that's exactly what we do. Why? Because our Dogs give their best for us. We believe that, we too, should give to them the best they can get: A trailer made by the world's leading manufacturer WT-Metall. A good trailer is like a fine dog: It will follow you everywhere! 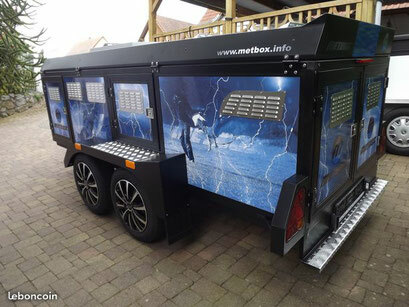 WT-Metall: excellent trailers for excellent dogs!